This week I am preparing for Friends for Life next week, and I have a few previous posts that are relevant to me that I’ll be sharing with you. The first one is about shoes. If you go to the end of this post, you’ll see I talked about lots of blisters and a whole lot of uncomfortable-ness. I also saw a Pinterest post that said no matter what the trip, you only need to bring 2 pairs of shoes for any trip. That would leave me with running sneakers & fancy flip flops for the banquet. So for you FFL veterans, what shoes do you bring, or what would you suggest for me? All suggestions are welcome! These are my new shoes. 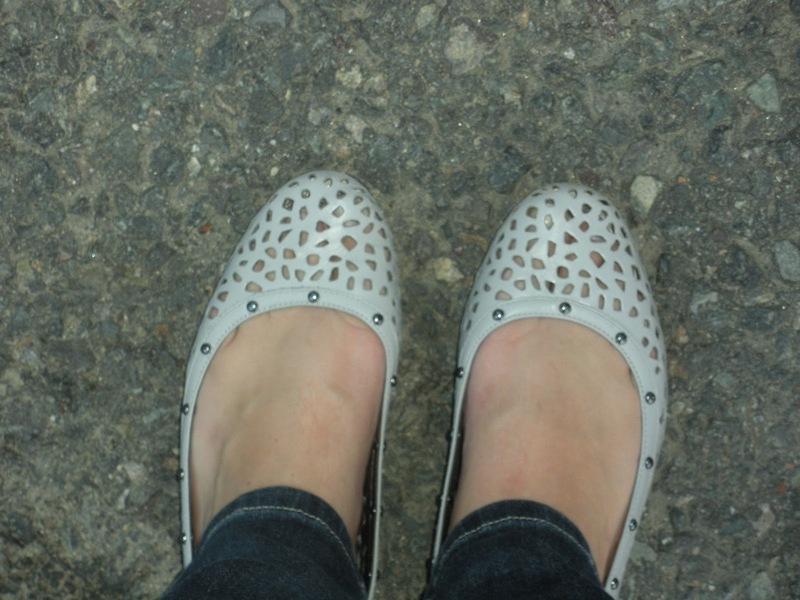 I love shoes, as my dia-buddy pointed out on Sunday. I bought them for Saturday because I knew I needed to look good. Good in the sense that I was looking good without looking like you’re trying to look good. I’m sure most of you know what I’m talking about. Saturday consisted of making it to BC High to see P State tennis & Coach since they’re in my town for an afternoon. From there, trek to South Station to meet another friend before heading to Oktoberfest. I’m bringing comfortable shoes for the days, but dressier shoes for the banquet and probably Friday night. And hopefully sneakers too. But I’m both a shoe addict and an over-packer, so you probably shouldn’t take advice from me.